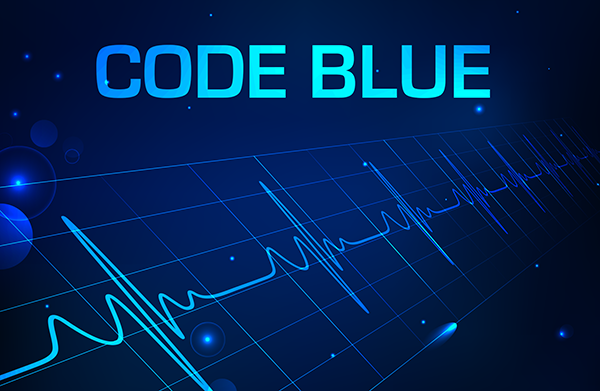 Within 48 hours, I went “CODE BLUE” twice. I was placed on life support, breathing with a respirator, had a tracheostomy surgery, and spent two weeks in a coma. I was in the hospital for over five weeks followed by nearly four months of in-home care. I then came back into my body and the Lord sustained my life. I spent three weeks in the Intensive Care Unit, then was transported to progressive care for seven days. Then I was taken to the University of Virginia Transitional Care Facility in Charlottesville Virginia where I received eleven more days of care. Just a few weeks after my Code Blue experience, the Lord began opening doors for me to share my experience despite the rejection of many. One week before I was to share these visions for the first time in public, I sought the Lord about an issue, which I never understood in the second vision. I could not figure out when I looked at the scoreboard, why did I see “2:13”? Why not just “2:00”? On my son’s 5th birthday, as a gift from our Good Father, I was given a dream (I thought I was awake) of the exact feeling of being translated (white hot energy yet recognizable) and rising up through the upstairs bedroom and then arriving in a beautiful lofty building of blue and white incredibly intricate tile work. I could not get over how impossibly long it would take in the natural. I later saw photos of synagogues in Israel which had a similar look, but not as intricate. p.s. to Katie: My daughter is almost exactly as yours, 25, and highly prophetic. She used to cover her mirrored closet doors with scripture and see into the spirit realm very clearly. I wish my training in the prophetic had begun before 2010 when she took me, a staid church-goer, to her Assemblies of God church where she was fittingly attending their School of Supernatural Ministry for two years. She did not understand at the time why she could hear so clearly from God — but now we both do. Even so come Lord Jesus. Carol, thanks for sharing that. Amen, come Lord Jesus! SHE said that Jesus told her a lot of the things we have been shown will happen just as we are raptured. Very interesting confirmation for me as I have been informed that there will be nuclear bombs and tsunamis happening in many parts of the world (including America) at the very time of the rapture of the bride of Christ. There will be much chaos during that time and the evil ones will waste little time before taking advantage of the situation. Thank you for sharing this! She also stated as Marty was told by Jesus. That she was telling everyone and no one believed her..
Katie – Wow! Seriously, wow! My ten year old said to me recently that he wasn’t talking to Jesus (which he does often) and that Jesus told him that “he is coming back soon, sooner than people think.” I want to believe that that means months not years with all my heart but it’s hard to reconcile that thinking with all the things the Lord has shown me and spoken to me. All I can say is that I do not have full understanding and that I pray that Jesus comes SOON! I know , I struggle with understanding it all too. Good news is, we don’t have it all figured out! I hope so too! Come, Lord Jesus! Rachel, check this out. A little girl had an experience concerning the rapture and end time events. Rachel…this is Marty. Thank you for your kind words and encouragement! I would love to hear or read what the Lord is showing you. Friend me on Facebook, you’ll see me as “Marty Breeden Steinberger” . For Facebook purposes I’ve always used my maternal grandmother’s Jewish maiden name. I do believe Joseph blessed return your be imminent! Rachel, Jesus is returning Feast of Trumpets 2028. God prophesied the end from the beginning in the 7 Day Creation story (Isaiah 46:10). It’s all so simple to understand. Jesus is going to return during the 2,000 year after the year of his death. So no need to wonder about “months” for it’s still about 12 years away. Stay strong. Keep the faith. The time will FLY by! Visit http://www.2028end.com to learn these simple truths. Gabriel – The Lord directed me to your testimony about three years ago as I was waking up to the times. You could very well be correct, but there is much to transpire between then and now. God has a plan to bring His kingdom to this earth in preparation for His return. We are to be about our Father’s business until Jesus comes. I commend you for your deep and abiding conviction as a son given over to the Lord! Oh my heavens – THE HOLY GHOST BUMPS!!!!!!! Yes sir! We are two peas in a pod! I love her so very much! She is such a blessing to our family! I found it. This is a great dream. I just love reading about all the amazing things Jesus is revealing to his body. God bless you and your family. You will be in my prayers. Me too ( : and back at ya Lydia. I’m not sure if it was from Jesus or the enemy, but when my daughter was 3 she had an out of body/ open vision type experience when I was in the room. She said she could see stars and planets (I don’t remember if that was at the start or end). She also said that the “bad guys” were coming to get me and that they were going to take me to a greenhouse (for gardening). I asked if we could get away and she said it was too windy outside to go anywhere but mentioned something about animals protecting us. It was a really bizarre experience that really shook me up! I don’t know if Jesus’ angels were taking me to a safe place and the enemy labeled them “bad” or if it was the enemy taking me to a physical greenhouse for some sort of imprisonment. Why would it bring world war? I believe just due to the chaos,anarchy the unstable times. The fear and I’m sure so much more. The stage is currently being set for war. The disappearance of millions will create complete pandemonium along with the fact that all true worshippers of God and intercessors will be gone. I don’t believe God leaves himself without a witness on earth. I think coincidence with the rapture is the sealing of the 144,000 Jewish witnesses. Of course it will take them time to become effective, but should be kept in mind. I don’t know anymore than this. That is what she said Jesus said to her. Also, blaspheming the Holy Spirit “hath never forgiveness but is endanger of eternal damnation”, Mark 3:29. If I had read your testimony a few years before, I wouldn’t have had the slightest idea how to live in the “two-minute warning.” I thank the Lord that that is no longer true and that I now not only know how to live in the “two-minute warning” but also am trying to live and living like I am in that “two-minute warning.” And this is purely because of the edifying work of his Holy Spirit. Thank you for sharing this wonderful testimony. Sujit, as always thanks for the edification. I have had a similar conversion experience. For zeal (or passion) for your house consumes me, and the reproach of those who reproach you have fallen on me. Psalm 69.9. I think the difference was knowing Jesus as Saviour in the beginning but not as LORD God. I lived without an uncircumcised heart for years and did my own thing because really Gods sovereignty and his access into areas of my life were restricted by Myself and I. Free will. He is always asking the same question. Do you trust me? If we trust Him then we are able to live completely free and surrendered lives with our allegiance solely to Adonai. Yes LORD your servant is listening. Say what you want me to do and I receive your power to do it. Well and truly ignited. John 14, 16 and 17. Warning: Don’t ask unless you want the answer and as you walk by faith/obedience you may find every possible anchor in your life stripped away until there is nothing left but you and the LORD. He will take things out and put things back into your life. No Ishmael’s, only Issacs. There is no greater adventure! Unintentionaly left off John 15. Thank you for sharing this! I recently learned the definition of intercede- To do for someone what they can not do for themesleves. Your post is indeed ecouraging. For Holy Spirit will do for us what we can’t do ourselves. Wow, brother Marty! I have been on Z3 News a few months now. I don’t remember any message that I have read that rings more true than yours. Sounds like it came straight from heaven. Amazing how the LORD spared your life, then brought you back with such a powerful message. It’s interesting that you are in law enforcement—a man in authority, and under authority. Hopefully the world will listen to your message. GOD bless you, brother! Brother Marty, a few years ago an evangelist here in central Fla. was holding meetings. The people began to flock there to hear him preach. I just saw the picture of you with the tattoos. This man had a LOT of tattoos. And so I thought of his revival when I saw your picture. I believe many are hungry for a true move of GOD. When this other brother preached, many came and GOD-TV put it on their satellite and people all over the world were watching. Unfortunately, he had some issues. But if a real man or woman of GOD—living holy–were to really start preaching a last -days message with the fire of GOD—-imagine what the LORD could do. Wouldn’t it be great to see another Azusa Street revival–especially here in central Fl.. so I could drive to it. Everyone wants to see a great move of GOD. The right preacher with the right message and the fire of GOD——-!!! Why not a deputy—deputized by GOD to preach? Wow!!!!!! Did I ever feel the PRESENCE OF GOD when I read your response!!! I am so deeply moved and so ready for a move of God. I am a product of the Azusa St Revival as I was raised in the Assemblies of God. I desire true revival more than my next breath. . I am ready .I know of the Evangelist of which you speak, this is one reason I stay under good Godly and strong authority. Prayerfully I can be a conduit of revival and stay broken and humble before the Lord….I want the REAL MOVE of God..that change communities and weighs in men’s hearts to change their eternity…thank you SO MUCH for sharing! Praise GOD, brother! Please ignore my following two responses. I saw your first name thinking you were someone else, not realizing the author of the article was addressing me. Please excuse my confusion. I would like to add a couple of things about the Azusa revival which I have read about. The glory of GOD and the anointing was so powerful that people just walking down the sidewalk blocks away from the church would sometimes fall out under the power of GOD and get saved. At the church, missing limbs would grow back. And at nighttime, the glory of GOD was so powerful upon the church that it looked like flames of fire, and more than once neighbors called the fire department thinking it was a real fire. And the brother who led the revival prophesied that 100 years later a much greater revival would break out. That was just over 100 years ago. Brother Marlon, Are you speaking to my response? If so, praise GOD, brother. You sound pretty fired up! Are you a preacher? I am just an everyday believer, but like yourself, want to see a REAL move of GOD. One well-known evangelist of old said something like, “LORD set me on fire so that people will come to watch me burn!! !” Something like that. Of course he was talking spiritually. LORD bless you, brother, may the LORD accomplish His purpose in your life!!! Wait—I’m confused…is Marlon the same as Marty? LOL, if so, I am sorry. Thought you were two different people. Senior citizen moment. Marlon is my legal full name…Marty is my Nick name…but I’m the same person! Greetings my brother! I recently had a dream in regard to Azusa St and believe it is due to happen again. I shared an awakening dream posted here on Z3 that I believe ties into this coming outpouring. It will be even greater and more widespread. There will be another Azusa St outpouring and the time is now! I was just thinking this morning, Lord, I am weary of waiting, yet I know it’s all in your timing. Yet I feel guilty for thinking this too……Thank you, thank you. Man, The HOLY GHOST BUMPS running all over me! PRAISE THE LIVING GOD OF GLORY!!!! I have shared and will continue to sing out Jesus is coming back. Amen my brother Marty. I receive your message and I believe Yeshua is coming back soon. Very soon. Thank you for sharing you experience. I love reading stuff like this. Thank you for sharing Marty! I had such an awesome confirmation in my spirit while reading this. A warm soft loving electricity covered my whole upper torso! I just love when God does that. Your testimony gives me reason to believe for even greater vision in the spirit. How amazing that the two therapists saw the number 2! Praise Jesus! Marty thank you for sharing this is very powerful testimony. I live in Harrisonburg VA. I wish you could come to my ukrainian church and share that with them and American churches as well. .Very very sad that many not listen and refuse to live accordingly. It’s hard to talk about it even with a Christians. I need to endure until the end and do not give up. Very often God leads me to talk about Him with a believers and non -believers but many wan’t to listen. .Please help me dear Lord to deny myself and follow You every step of the way.Amen. Aw thank you I didn’t know that they put my comment here and didn’t see you answered right away. I will ask pastors and then contact you. This is Marty…my legal and email name is Marlon. I would LOVE to come to your church and share. It’s as simple as am invited. Call me at 540-740-4156….I hope to hear from you!! And thank you for the kind remarks!